It was a packed night, and to be quite honest, it could've been handled and organized better. 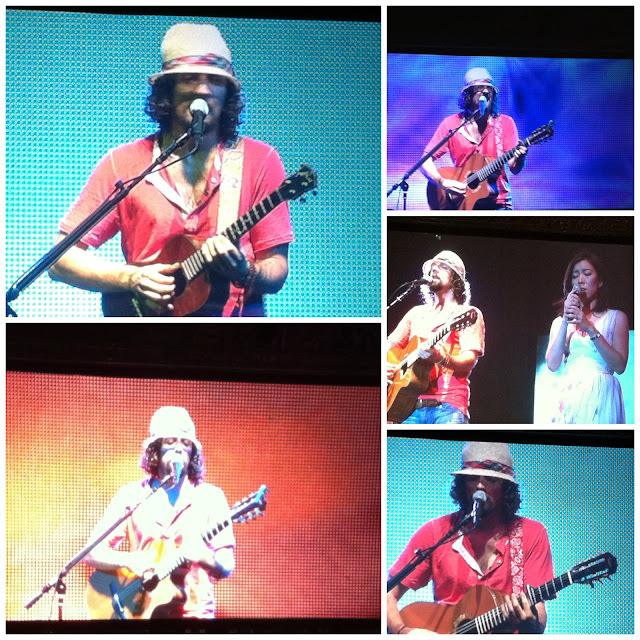 but oh well, Jason Mraz dancing crazily, rhyming nonsensically, singing heartily or gibberishly (and the crowd echoing after him) and playing instrument from instrument on stage, well.. I could say is entertaining and worth it. J and I held hands, sang along, hummed along, swayed along.. It felt like we were highschool sweethearts out on a date and watching a concert. Really. my first ever run. EVER.